Steven is founder and president of Northeast Planning Corporation, a full financial services firm employing 120 producers, management and staff that specializes in developing economic and financial strategies for professionals, business owners and the affluent. Steven Ferrara entered the insurance business with the Guardian Life Insurance Company in 1974 as a Financial Representative and qualified for the Million Dollar Round Table (MDRT), making him the youngest producer ever to attain membership in that prestigious international organization. He has been an MDRT member ever since, qualified for Guardian's Leaders Club every year, and been awarded and recognized nationally for his outstanding achievements in helping others enter, develop and succeed in the financial services career. Steven took over leadership of his agency in 1989 as General Agent and has consistently qualified for GAMA's Master Agency Award, has maintained Platinum status with Guardian and won the Guardian's prestigious President's Cup award for outstanding agency of the year in 1999. 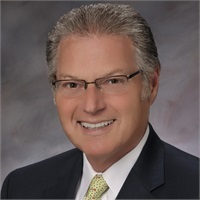 As an industry leader, Steven was Essex NAIFA President in 1985 and the New Jersey State NAIFA President in 1991 and has received both the Local Life Underwriter of the Year and the New Jersey State Life Underwriter of the Year awards.